Hi guys!! I know I haven’t posted in a while, so I’m super happy to be back! 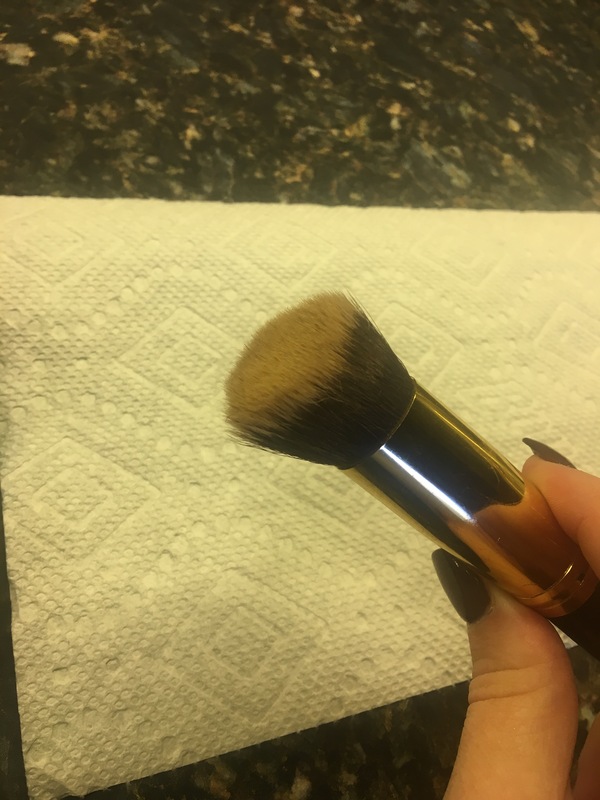 Today I wanted to show you all how I clean my makeup brushes and give you a little mini first impression. 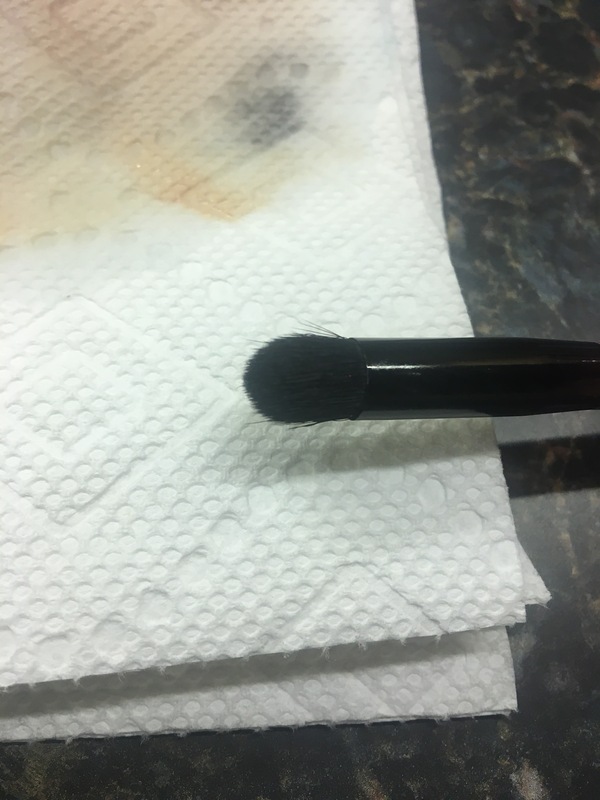 I recently ordered the Cinema Secrets Professional Grade Makeup Brush Cleaner off of Sephora. 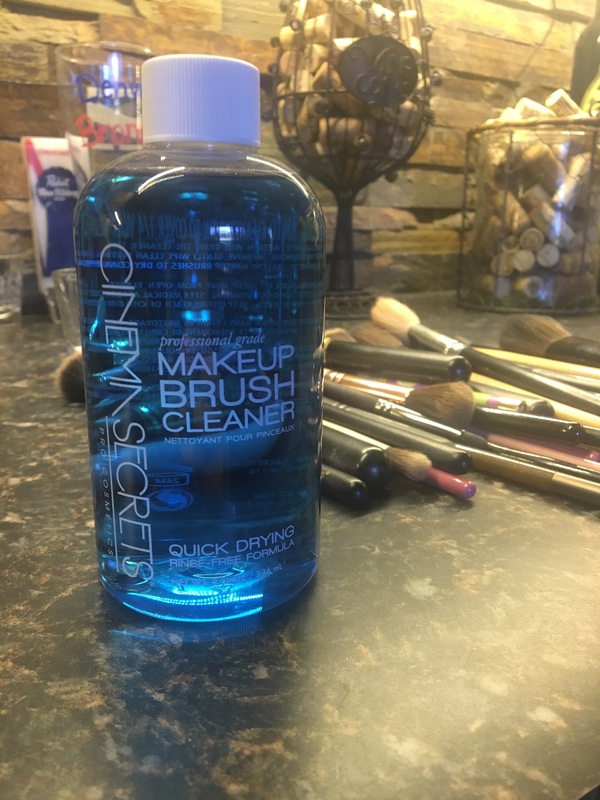 I had heard really good things about this cleaner, and I was completely out of my MAC one, so I decided to go ahead and try it! I purchased the 8 oz bottle for $24. They have two other options, a 2 oz travel size for $8, and then also a 32 oz value size for $36, which is a $96 value! 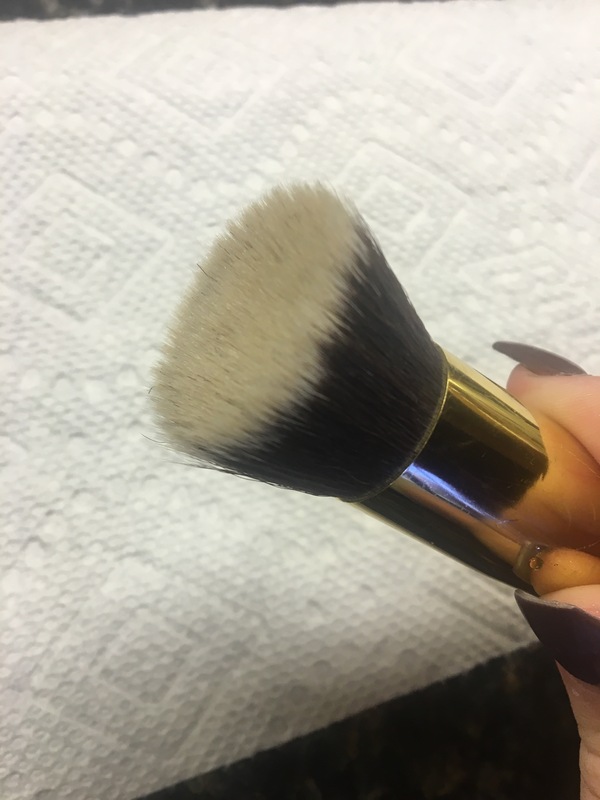 I had a lot of brushes to clean, so I started with a foundation brush. 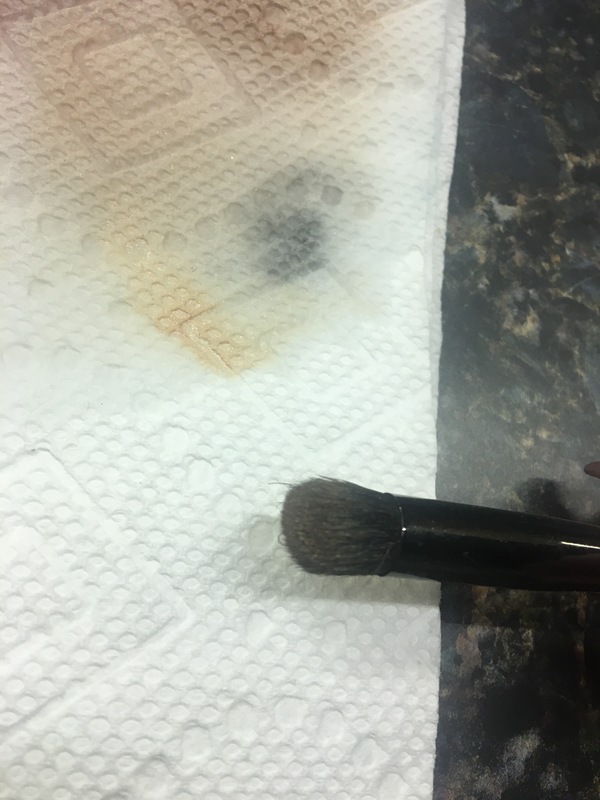 All you have to do is pour the liquid into a small dish so you can saturate about 1/4 of the bristles, and then wipe it on a clean paper towel until it wipes clean. 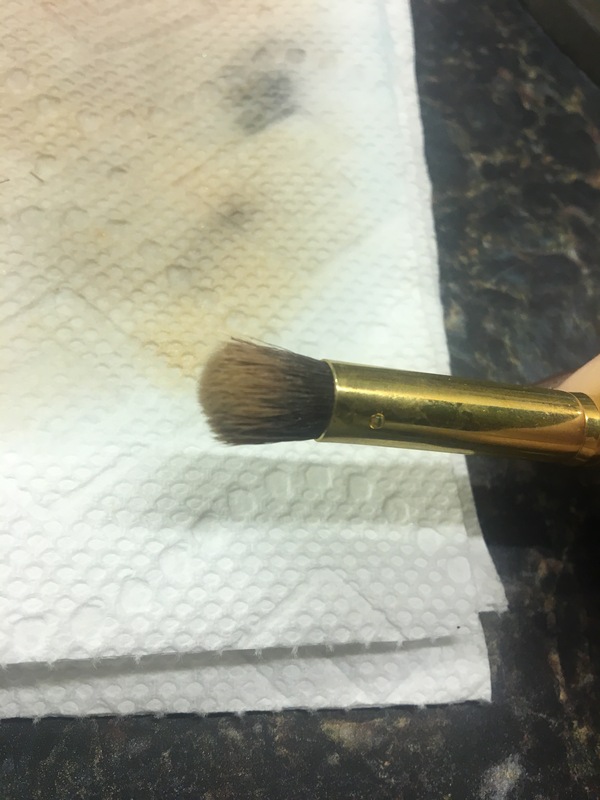 On very dirty brushes you may need to saturate and wipe it off again just to make sure it’s clean. You then repeat that on all your brushes! 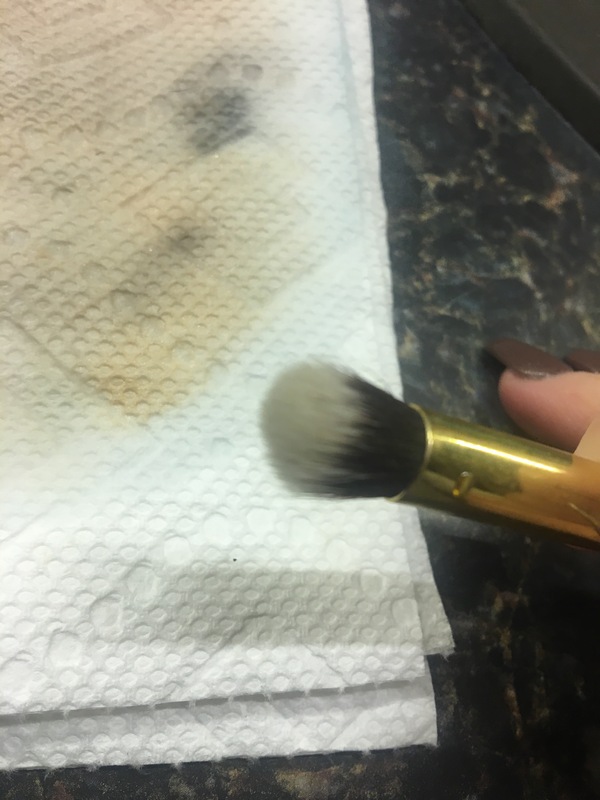 It was very easy, and took half the time it usually takes to clean my brushes! Sorry in advance for the quality of these pictures, but I did want to show you guys a few examples!